It’s the first of its kind in New Orleans. For kids of all ages, body types, and abilities, having time and space to play is critical for development. But for some kids with mobility and sensory challenges, doing this can be a difficult task in traditional playgrounds. But star NFL quarterback Drew Brees is working to fix this in New Orleans, where he plays for the Saints. 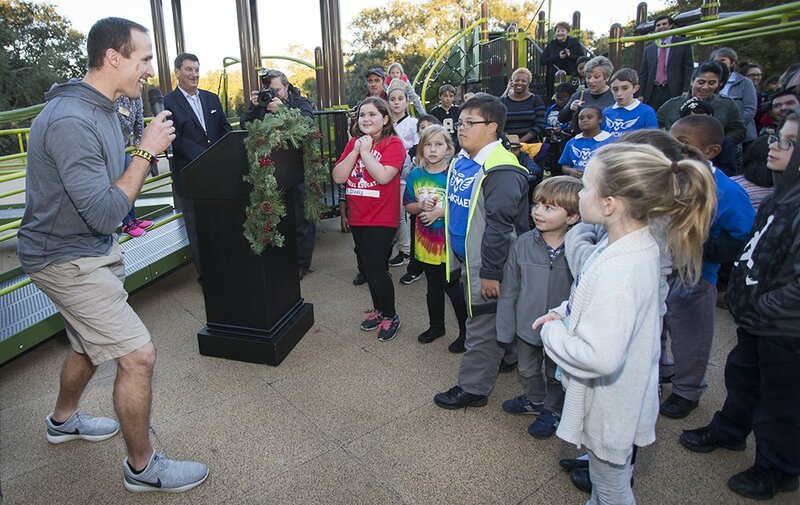 On Tuesday, Brees inaugurated a new playground, called the Walnut Street Playground at Audubon Park, that’s specially designed for children with special needs. The playground features wheelchair accessible swings, a zipline designed for individuals with limited core strength, as well as braille features for children who are sight-challenged. 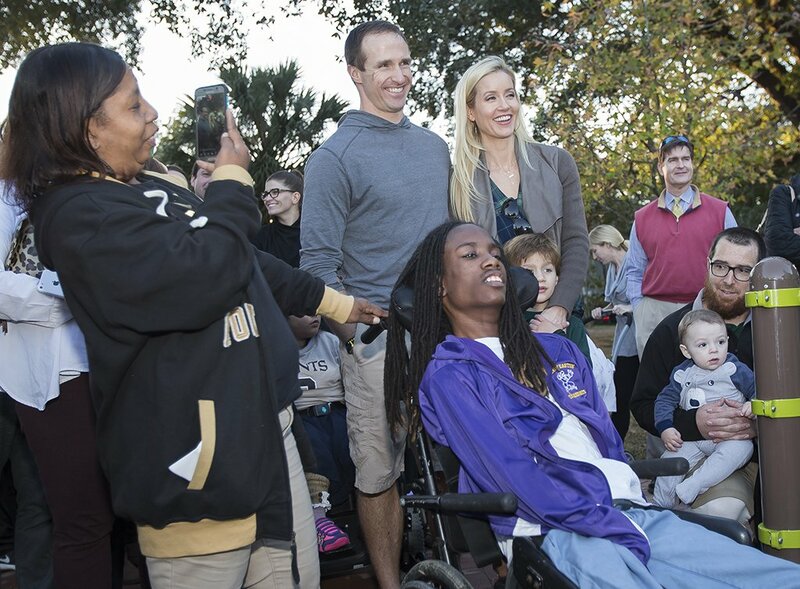 The project was a collaboration between the Brees Dreams Foundation and the Audubon Nature Institute, and was initially conceived of in May of last year, according to Maggie Susac, a foundation representative at the Brees Dream Foundation. 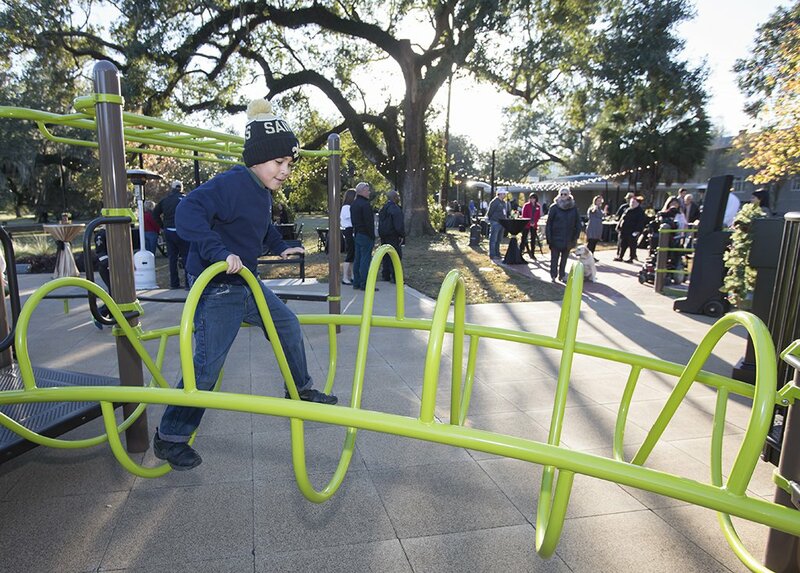 At the inauguration were an estimated 30 to 40 kids of all ages and abilities, said Gina Lorio, director of the Miracle League of Greater New Orleans, which works with kids with special needs. “He’s a team player making sure that everyone is included,” she added. At the inauguration were Brees and his wife Brittany, their four children, and Audubon CEO and president Ron Forman. Throughout the United States and around the world, as far as Israel and Australia, many playgrounds have adapted features for children with disabilities. Still, NPR reports, the onus often falls on parents, families, and other nonprofit organizations like the Brees Dreams Foundation. 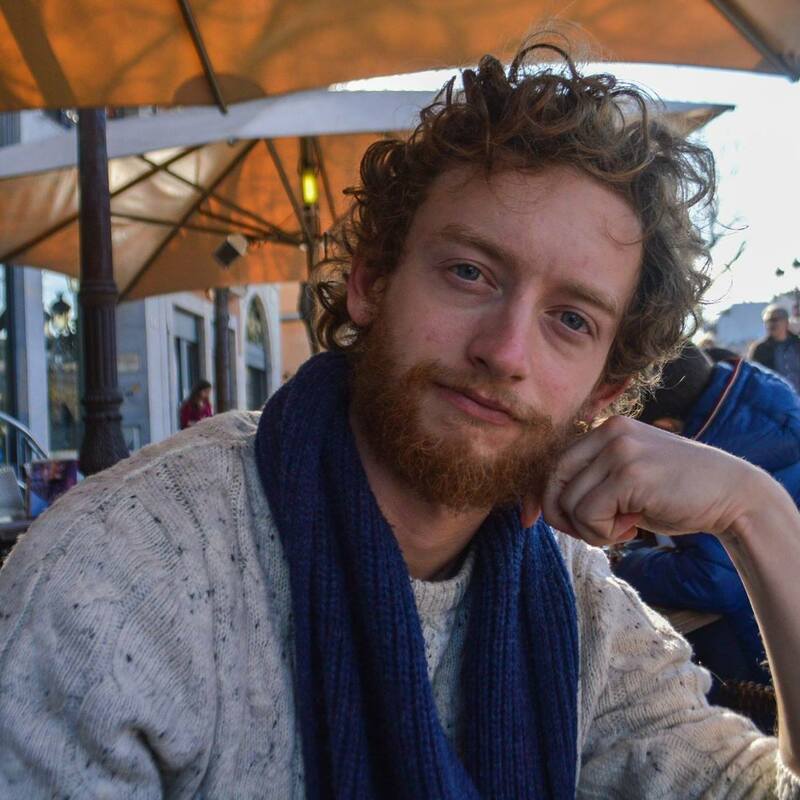 Global Citizen campaigns on the Global Goals for Sustainable Development, including goal number 10: reduced inequalities. According to the most recent US census, about one in 20 children aged five to 17 had a disability. You can join us and take action on this issue here. According to Susac, the inauguration of the Walnut Street Playground was a big success. “Yesterday brought a smile to everybody’s faces,” she said.